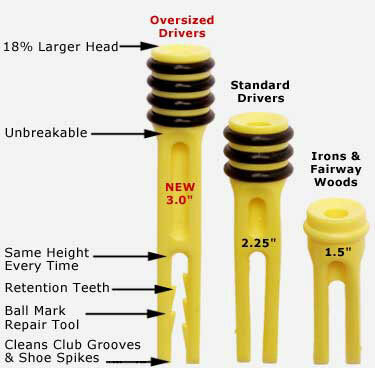 GolfTest USA Ranks The Perfect Tee 1st!
" The Perfect-Tee has become my best friend. It has allowed me to perform at the longest and highest level. If you want to hit your drives long and straight, I suggest you use the Perfect-Tee. I do." Paul Runyan, Winner of over 50 PGA Tournaments, including 1934 & 1938 PGA Championships.
" The Perfect-Tee is the best golf tee in the world." " The Perfect-Tee is just thatperfect."